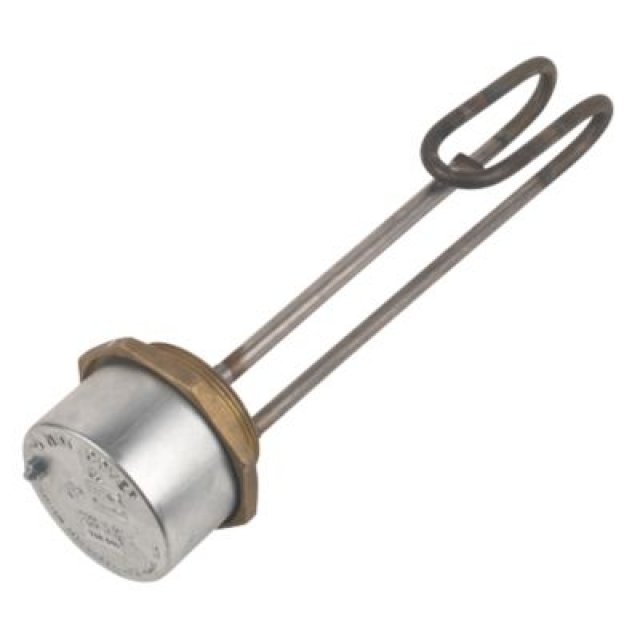 An immersion heater provides a means of heating water using an electrical element. The element which is immersed in water, heats the water much like a kettle does. In the majority of Irish homes, you will find the immersion is located at the top of the hot water cylinder, but can also be found on the side of the hot water cylinder. 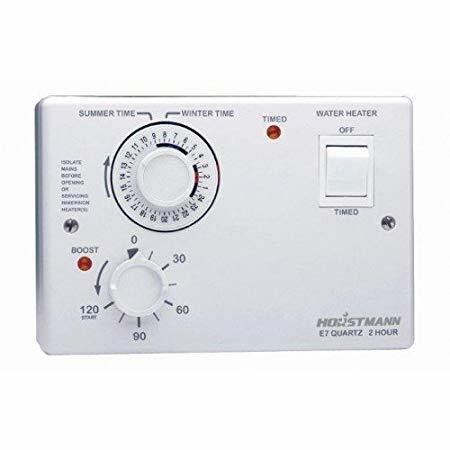 Immersion heaters will at minimum be controlled by a simple ON/OFF immersion switch, but timers and smart time controls are available if required. 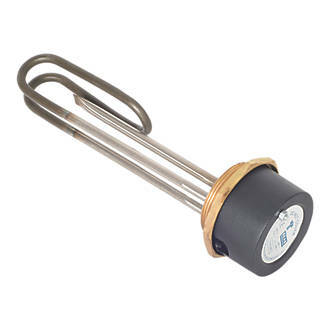 Immersions heaters can be used as a backup to gas or oil, or as the primary source of hot water. Although the latter might prove costlier. Twin immersions are most often side entry with both top and bottom placement. These immersion are usually found on unvented cylinders and in homes and apartments that use electrical heating systems. 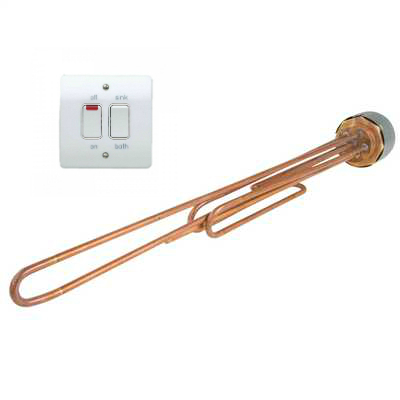 Choosing which immersion heater is best for you. There are a wide range of immersions available in Ireland, but which one is right for you? Consideration must be given to the following, Kw output, element length, cylinder type (copper or stainless steel), top or side mounted and lastly whether your domestic water is soft or hard. Ideal for moderate to hard water areas, although slightly more expensive than standard copper these super alloy immersions are stronger, longer lasting, have higher corrosion resistance and are ideal for higher temperatures. Low noise operation makes this element an excellent choice if you currently utilise day/night electricity rates. Designed for heavy duty or continuous use, titanium offers excellent corrosion resistance particularly where limescale is an issue. Although the most expensive element option, you will benefit from reduced Maintenance and a longer life span when compared with standard copper or incoloy elements. The majority of the drinking water supply in Ireland will suffer from water hardness. Hard water contains minerals such as calcium and magnesium. Its the presence of mineral calcium that causes the limescale associated with hard water. When heated hard water releases white calcium deposits, this is better known as limescale and harder the water the more limescale you can expect. Are you reliant on your Immersion to meet your Hot Water Needs? Make the Switch to Off-Peak! 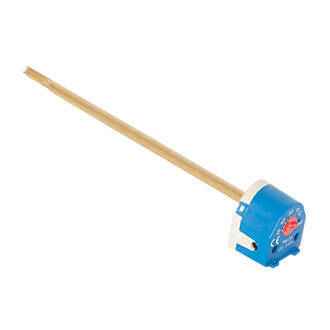 An immersion heater can be an efficient means of providing a property's hot water. 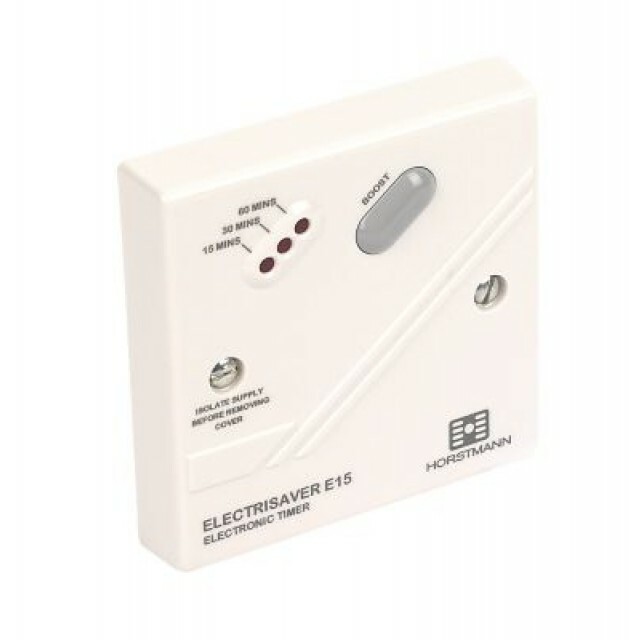 It works independent of the main heating and can be switched on and off as required. 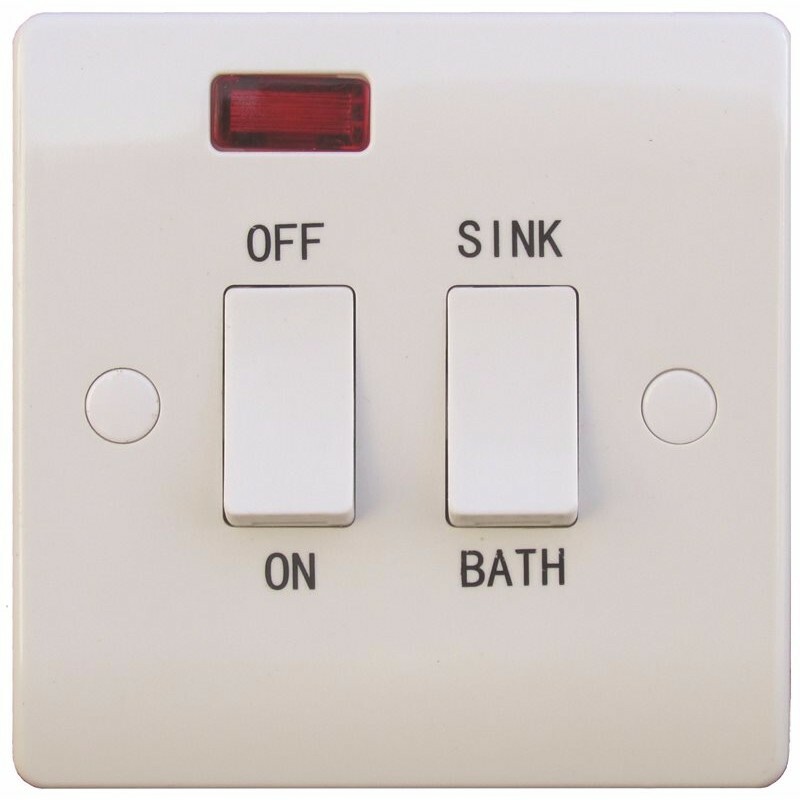 If you use your electrical immersion as the sole provider of hot water it may be worthwhile utilising a day/night electrical meter. This allows you to take advantage of the off-peak overnight rates associated with a day/night electrical meter. By utilising these low-cost overnight rates, you can save as much as 50% when compared to standard day time charges. Important consideration must be given to the insulation value, good insulation means your water will stay hotter for longer. Most modern cylinders come with an excellent level of factory fitted insulation and do not require additional insulation. If your current cylinder predates these, lagging jackets are available and are easily fitted. Immersion heaters are relatively cheap to install and maintain when compared to gas or oil boiler systems. Heating your water using an electrical immersion is expensive running cost when compared with gas or oil. Single immersion systems (3kw) will have a slower water heat up time than gas or oil systems. Is it cheaper to leave my immersion on constantly? We get this all the time and the simple answer is no, leaving your immersion on all the time will only cost you more money in the long term. When you consider the heat lost from the hot water tank, that heat is essentially energy that you have paid for. It is best to use a good quality immersion timer or smart control unit. How can I save money using my immersion? Insulate, insulate, insulate. A good quality insulation jacket can save you as much as 30% on your hot water costs. Insulating the pipes too will help reduce energy wastage. Installing an immersion timer with a simple boost facility can help reduce your immersion for running longer than needed. Out of sight, out of mind, if your current immersion switch is located inside the hot press it may be worthwhile relocating it to a more accessible and visible location. 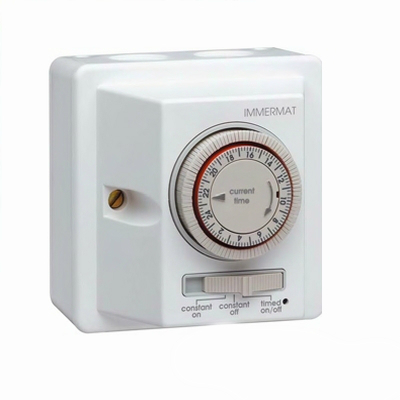 How much does it cost to run my immersion heater per hour? In Ireland the average price of electricity per kWh is between 18 and 19 cents (aug 18). The average immersion will have a load of 3kW, so if left on for an hour you can expect it to cost between 54 and 57 cents for the hour. Immersions heaters provide hot water by utilising electricity as their energy source. 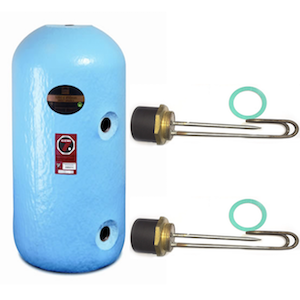 Immersion heaters can be found in the top or side your hot water cylinder. When switched on the element inside the Immersion heats the water inside the cylinder much like a kettle. The average home can expect heat up time of 1.5 to 2 hours for a full tank of water to be heated from cold to 60 . It is important to note, the volume of water in your cylinder, the temperature of the incoming cold water and the kW output of the element will all influence the rate at which your hot water tank reaches the required temperature. But as a rule of thumb you can multiple the amount of litres in the tank by 1.165, for a single 3kW immersion. Immersions heaters can last for many years, although the heaters life span is directly related to the amount of usage, the element type and quality. If you choose a Standard immersion you can expect carry a 12-month warranty, Incoloy and Titanium will carry a 5-year warranty. It is important to note failure due to limescale or incorrect installation will void any warranty. My immersion is not working, what can I do? One of the most common faults we see is the overheat thermostat has tripped (Red Reset Button), this can be caused by limescale build up or by using an additional heat source such as gas, oil or solid fuel. Locate the immersion on your cylinder, it is commonly found at the top of the cylinder be can also be located on the side. Look for a plastic red circular button/indicator on the immersion cover, this is the reset (but under no circumstance should you remove the cover as you may be at risk of electric shock). If visible press the reset button, if it engages the immersion overheat stat has been reset. Turn on the immersion, if the water heats up and the overheat stat remains engaged the immersion should be fine. If it a case that the overheat thermostat trips again you may need you immersion replaced. Your old immersion most likely didn't have any thermostatic control, this lack of control would have allowed excessive hot water temperatures to be reached during operation. Your new immersion will have thermostatic control, this is preset at 60°C for hot water tanks with single immersions, if your hot water cylinder has 2 separate side entry immersions they will be set at 50°C(top immersion) and 60°C (bottom immersion). These preset temperature values lower the risks of both scalding and the risks associated with the presence of legionella bacteria. My immersion is making a boiling noise, is this normal?